It is sure to get the Christmas spirit moving and with all profits going to Animals Asia, it is sure to spread some festive cheer around Animals Asia’s sanctuaries too. There are still some tickets left so please book now if you are free this coming Sunday. It is advisable to book in advance to avoid disappointment on the day. Hope to see you there for some laughs and a Christmas toast! 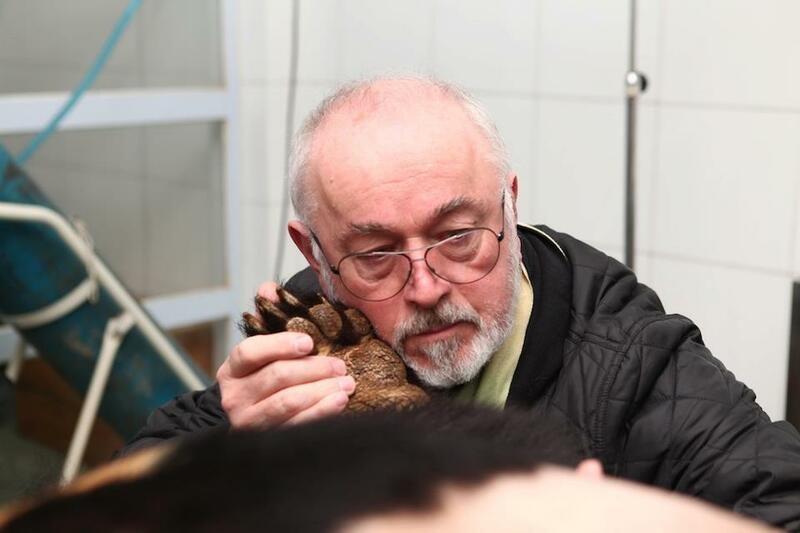 This is an event organised by Peter Egan, one of the UK’s best known television, film and theatre actors and Animals Asia’s UK Ambassador. Members of the London Animals Asia Support Group will be attending and would love to see as many of you there as possible. 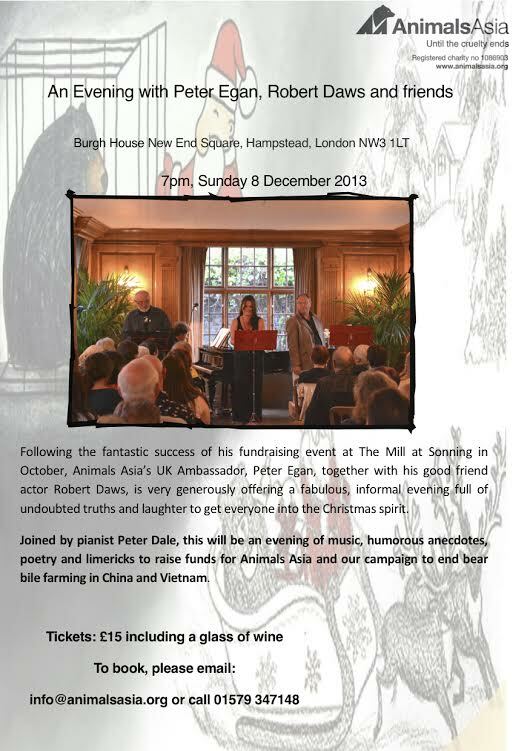 Just back from China visiting Animals Asia’s moon bear sanctuary, Peter Egan is joined by his friends, the actors Robert Daws and Amy Robbins for an enjoyable evening of humorous poetry, limericks and anecdotes to raise funds for Animals Asia.